The Supreme Court Friday said its endeavour is to ensure that a regular CBI Director is appointed "immediately" and the issue of transparency in the selection process can be raised by the petitioner in future litigation. 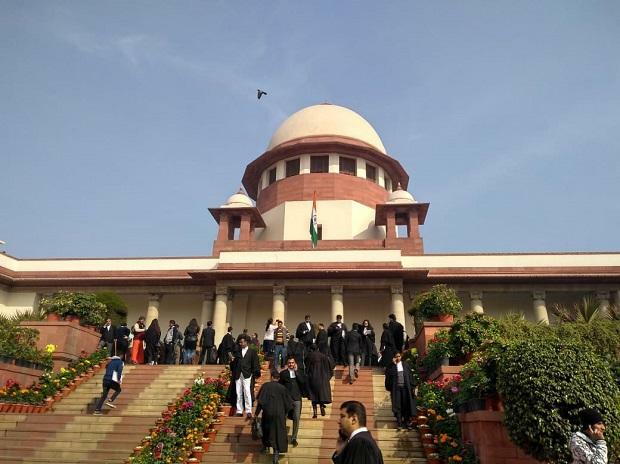 The apex court, which was hearing a petition filed by NGO Common Cause challenging the Centre's decision to appoint M Nageswara Rao as an interim CBI director, said the issue of transparency raised by the petitioner was "pre-mature" at this stage. A bench of Justices Arun Mishra and Navin Sinha observed this after advocate Prashant Bhushan, appearing for the NGO, argued that the top court must deal with issue of transparency in the process to appoint CBI director. "You want an immediate appointment. Let us stop there. Let the appointment be made first. If you have any grievance that the process is not followed and transparency was not there then you can challenge it later," the bench told Bhushan. "We cannot lay down general guidelines at this stage. When you will challenge it in future, we will consider it. Unless there is a concrete cause of action, we cannot interfere in an administrative action," the bench observed. Bhushan said he was not saying that appointment of a new CBI director should be delayed but he was on the aspect of transparency in the selection process. "For future, the issue of transparency in the process should be kept open," he said. To this, the bench told Bhushan, "You can file a petition in future on this. This issue is pre-mature at this stage". Bhushan then referred to earlier judgements of the apex court on the issue of transparency in such appointments. The bench referred to the 1997 judgement in Vineet Narain case, in which the top court had fixed a tenure of a minimum of two years for the CBI director to allow the officer to work independently. Justice Mishra said that judgement delivered by Chief Justice Ranjan Gogoi on January 8 in the CBI matter also dealt with this issue and Vineet Narain verdict was quoted in it. "We will ensure the appointment of a regular director. As for transparency, if there is any lacunae, you will have the option of future litigation," the bench told Bhushan. "When can I raise this issue? There are so many verdicts that transparency must be there," Bhushan said, adding, "You should lay down that these are the minimum norms that must be followed in appointing the CBI director". "Vineet Narain is not on transparency. It speaks of independence and the the high-powered selection committee," he said. However, Attorney General K K Venugopal told the court that the high-powered committee headed by the Prime Minister would hold a meeting on Friday to select new CBI director. Taking account of Venugopal's submissions, the bench posted the matter for hearing on February 6. Earlier, three judges of the apex court -- CJI Gogoi and Justices A K Sikri and N V Ramana -- had recused themselves from hearing the petition. It has alleged that Rao's appointment was not made on the basis of the recommendations of the Selection Committee. The plea has alleged that the October 23 last year order of the government appointing Rao as interim CBI director was quashed by the top court on January 8 but the Centre "acted in a completely mala fide, arbitrary and illegal manner" to appoint him again in "complete contravention" of the Delhi Special Police Establishment Act.